MDaemon’s user-friendly flat-file structure makes it easy to backup and recover your email messages, user accounts, security settings, and any other data stored in MDaemon. No extra Windows components or third-party applications are required, and you won’t have to navigate through any confusing dialog boxes to backup & recover your data. Backing up and restoring MDaemon is as easy as drag & drop. All you would need to do is map a drive letter from the MDaemon server to another drive on your network, then drag over the files you want to back up. In this example, we’ve backed up our users’ email directories, our configuration files, and our mail queues. If you’ve accidentally deleted users, you can simply restore the Userlist.dat file, located in the MDaemon/App directory. In this example, let’s assume user01, user02 and user03 were all deleted. 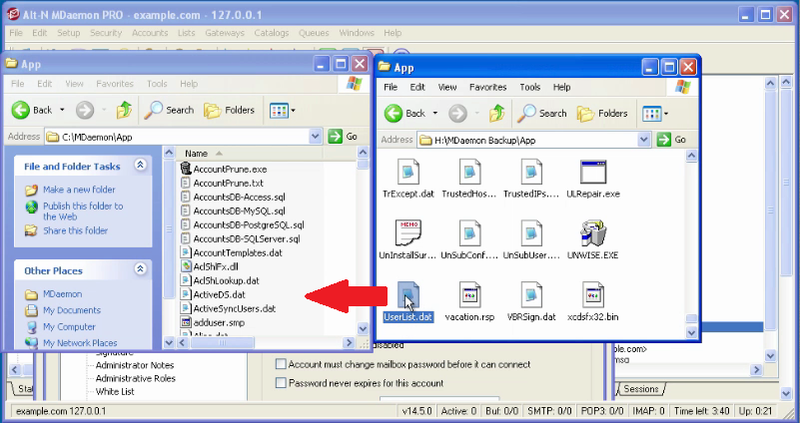 Simply drag the userlist.dat file from your backup back to the MDaemon/App directory, as shown here. And if email messages were deleted, they can easily be restored as well. 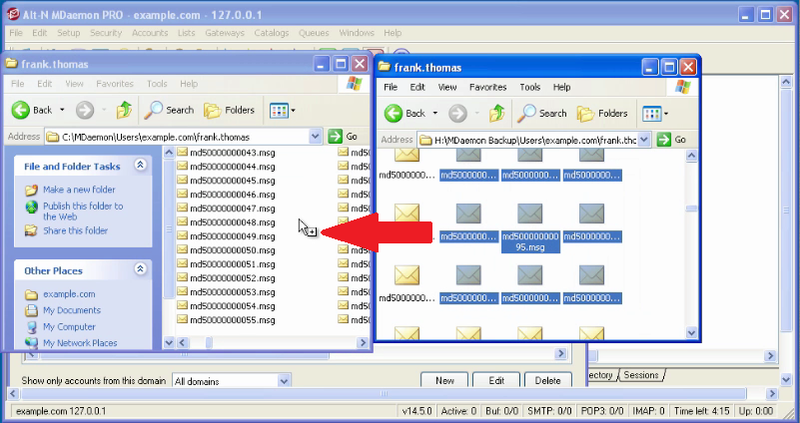 Email messages are stored within the Users directory under the specific domain and user. 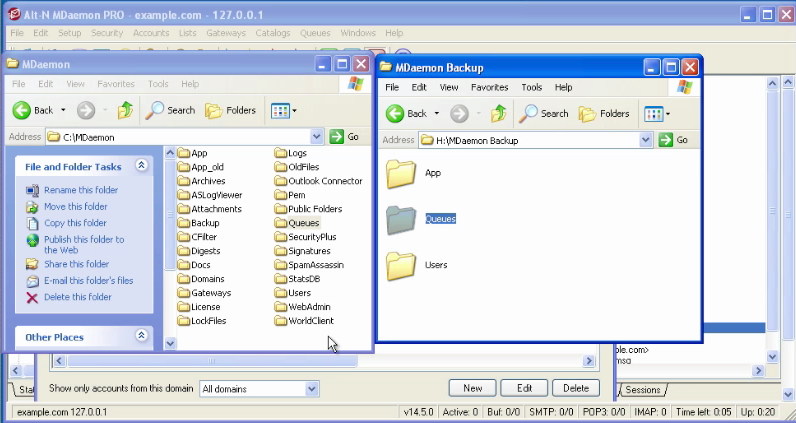 Simply drag the .msg files from the backup to the User’s folder on the MDaemon server. You can do a lot more with MDaemon’s file structure, including restoring a user’s contacts when they were accidentally deleted, moving public folders, and much more. Click here to learn more about MDaemon’s file structure. If you’re new to MDaemon, visit our MDaemon product page to learn more! In today’s business environment, business-critical processes rely heavily on networked applications to be productive. When a failure occurs, productivity is lost, and this often translates into lost revenue for the company. This is especially true of email. To address these issues, companies can implement a high availability/failover strategy. Some of our MDaemon users have asked for information on setting up failover for their email infrastructure, so we’ve put together a guide to help MDaemon administrators achieve this. In the simplest terms, the way this works is this: You’ve got a primary server that is running MDaemon. You have a backup server that will take over as the mail server when a failure occurs on the primary server. No third-party tools or applications are required. With a bit of preparation, you can implement failover/redundancy between two MDaemon servers using software tools that are built into the Windows operating system. The Windows Network Load Balancing Feature must be installed and configured on both servers. A third NLB ‘control server’ for making changes to the NLB configuration on the cluster nodes. 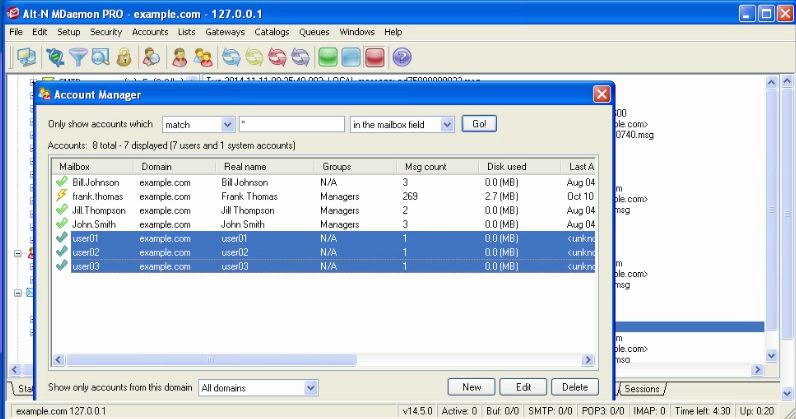 A working Active Directory environment with a Windows Server 2003 or higher domain functional level. Microsoft’s Distributed File System Replication feature installed on both servers with the latest available DFSR updates and patches. For networks using Network Address Translation (NAT), a NAT rule to NAT outbound connections from both cluster hosts to the same public IP source address. Other helpful guides can be found on our Literature page.